I love lazy Sundays. Any weekend day is generally better than a work day, but sometimes I need a day before I’m fully decompressed from the work week. Plus, there are usually a lot of things to do on Saturdays – things that require showering, having to be somewhere, knowing what time it is, etc. My friend Kelly coined the phrase “no-shower Sundays,” and I try to participate whenever I can. If ever we have plans on a Sunday, we’ll usually text each other beforehand to decide whether or not we need to shower, and if the answer is yes, whether the activity is actually worth doing. Lately I’ve been taking a spin class on Sunday mornings, which I love, but also which makes me feel like I’m cheating myself out of a truly lazy Sunday. I mean, you definitely have to shower after spin class. Even after spinning and showering, however, there are still a lot of hours to fill with lazy Sunday activities before I have to concentrate on prioritizing my Sunday night TV watching/DVR-ing. Making soup is one of my very favorite ways to spend some of those hours – it’s especially great in the fall and into January, when you can watch football while in the kitchen, but even now that the season is over it still seems to me like the perfect way to feel productive while actually just hanging out at home in your sweats. My quest for the perfect white bean soup started at Specialty’s, a bakery/lunch place with three locations within walking distance from my office. Specialty’s is probably most famous for their cookies, but they also offer decent salads, delicious sandwiches, and four different soups each day. I was addicted to their caprese sandwich for a time, but once they put the nutrition information on their website I had to switch to soup (sad day). The soups are posted online daily, so I’ll often check the location next to my office, as well as another one a few blocks north and a third a few blocks south – each store’s daily offerings are different, and the lentil dahl is completely worth the walk. One day, with lentil not appearing on any of the three menus, I decided to stay close to home and try the “Tuscan white bean” at the store closest to me. The soup was smooth and creamy and tomato-y and delicious – and vegan, so I knew the creaminess wasn’t coming from anything bad for me like cream or butter, but from the beans themselves (and, it turns out, from dehydrated potato flakes, which is another lesson in why its better to make everything yourself). I decided I needed to learn how to make something similar, and while a google search provided a plethora of recipes, none seemed to be exactly what I wanted. 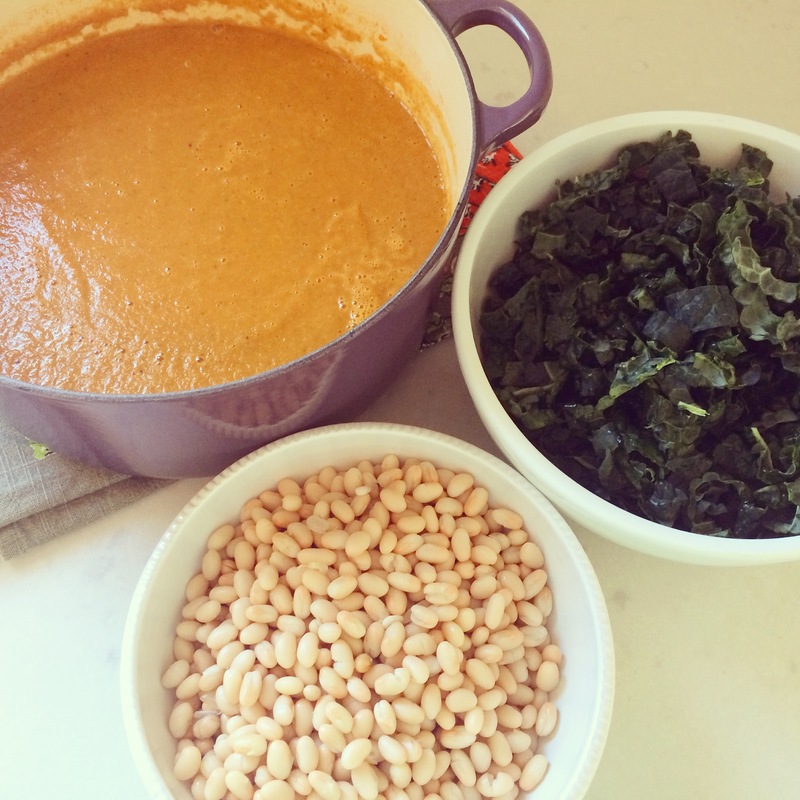 Most did not purée the soup, but I wanted mine to be thick and creamy – although I do love white beans in their unpuréed form. A lot of the recipes I found involved sausage – I don’t eat meat, although I’ve made “my” soup now with sausage for other people and they tell me it’s delicious. Many vegetarian recipes suggested adding a parmesan rind to the broth as it simmers, in order to impart a richer flavor that the meat would otherwise add. 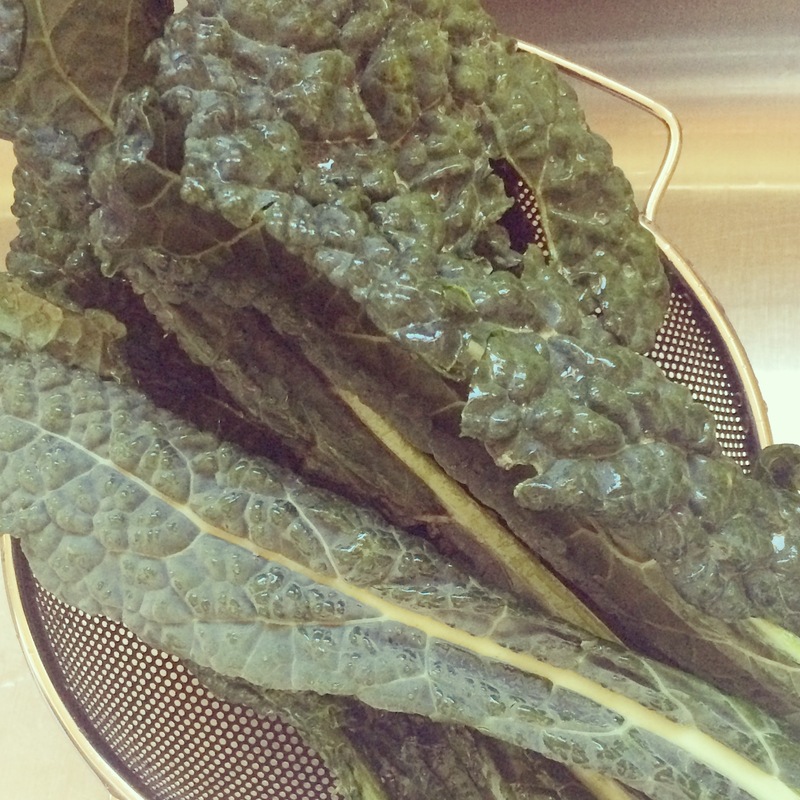 Almost all of the recipes included kale. So, I compiled everything I liked about all of the recipes I read and when Sunday rolled around I started to experiment – the resulting recipe is below. 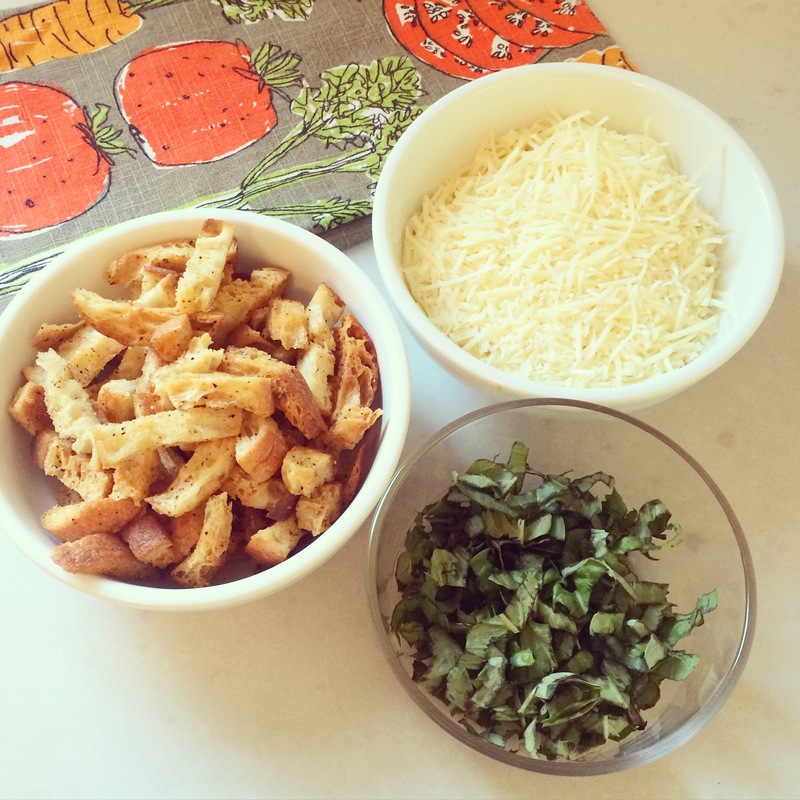 I promise I created it myself but there are probably lots of identical recipes out there – and if there aren’t, there should be, because its easy and delicious. If you’re interested in a more gourmet recipe, I also really love this one – and it gives you an excuse to open a bottle of wine, which can be another excellent Sunday activity. If anyone else has any lazy Sunday traditions and/or soup recipes, I would love to hear them! Or, we could just talk about the Grammys – what is going on with Rihanna and Chris Brown? How am I so old/unhip that I’ve never heard of Wiz Khalifa? Will I have time this week to catch up on all the other shows I missed last night? These are the issues currently weighing heavily upon my mind. 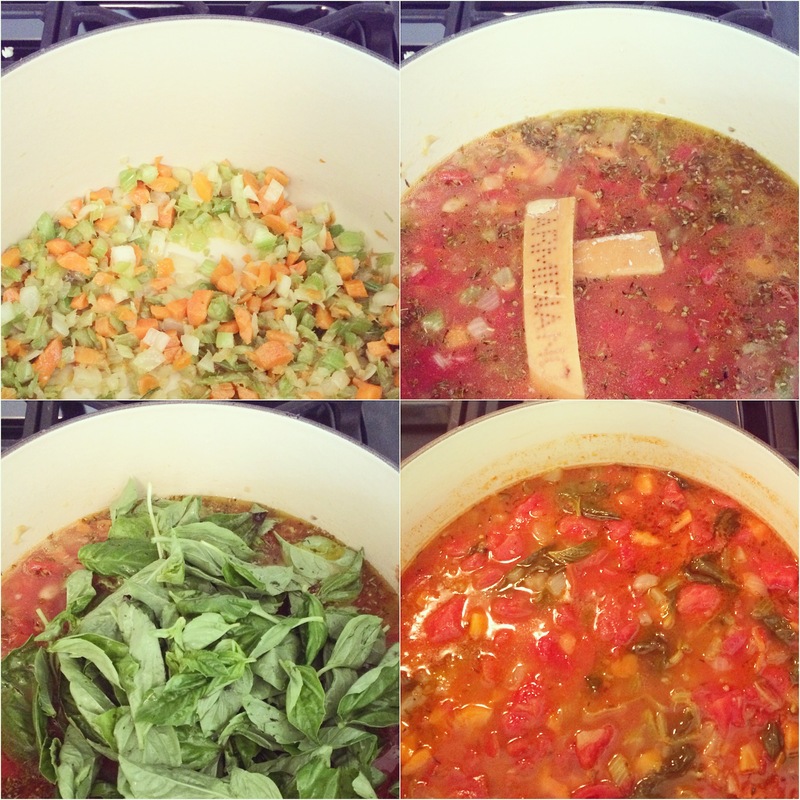 Luckily, soup making is a destresser, so it was perfect for Grammy night. Start with a healthy drizzle of olive oil in a soup pot or dutch oven. Sautée onion over medium heat for 5-8 minutes or until translucent. Add carrots and celery and sautée until veggies are soft, 5-8 more minutes. Add garlic and cook a couple minutes longer, then add stock, tomatoes (with juices), one can white beans, basil and herbs, and Parmesan rind if using. Increase heat to high and bring to a boil, then turn down to low and cover pot. Let simmer for 20-30 minutes, then remove from heat, remove parmesan rind, and purée with an immersion blender until smooth (if you don’t have an immersion blender, you can purée in a stand blender – just do so in smaller batches and with the steam vent in the lid open or a dish towel in lieu of a lid, otherwise you may end up with soup all over your kitchen and yourself). Add the kale and remaining can of white beans and return to heat until kale is slightly wilted and the beans are warmed through, about 5 minutes. 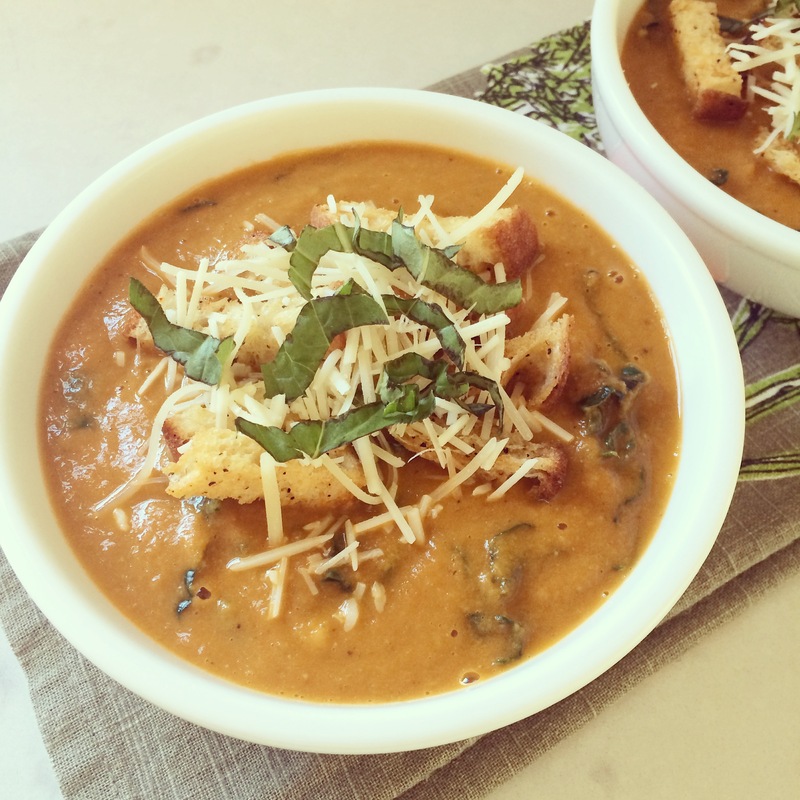 Serve soup topped with parmesan, croutons, and/or basil. Sausage option: brown sausage links in a small amount of olive oil in pot before starting soup. When sausage is cooked through, remove from pot and slice into rounds and set aside. 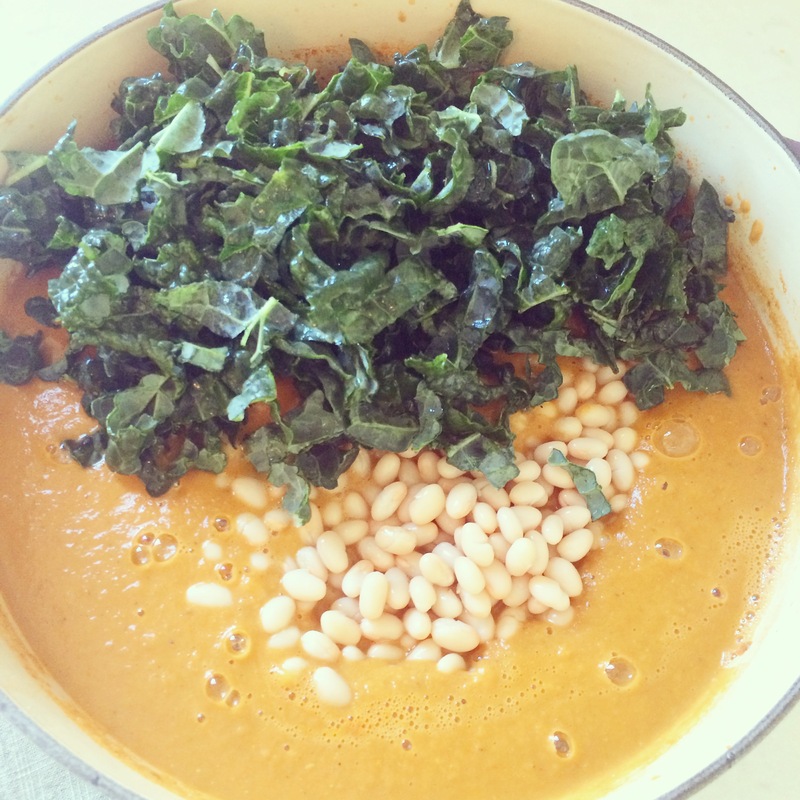 Make soup as above – no need to wipe out pot, just add more olive oil with the onions if necessary – and then add sausage back with the kale and beans at the end. Note: I list out chopped onion, carrots and celery – on a truly lazy Sunday, I enjoy buying fresh veggies and peeling and chopping them myself (except for onions, which are torture on my poor eyes), but if you want to save yourself the effort, the Trader Joe’s pre-chopped Mirepoix is an awesome alternative. Just dump the whole thing in and sautee it all together for 10-12 minutes, then add the garlic and continue as above. Wiz Khalifa has a great twitter! His tweets are “wizdom.” Clever, no? That soup sounds delish! I’ve never heard of that guy either. I feel out of touch now too! YUM!! Might just have to make this for dinner tonight (and lunch tomorrow!). 🙂 I take care of such information a lot. I used to be seeking this particular info for a long time.